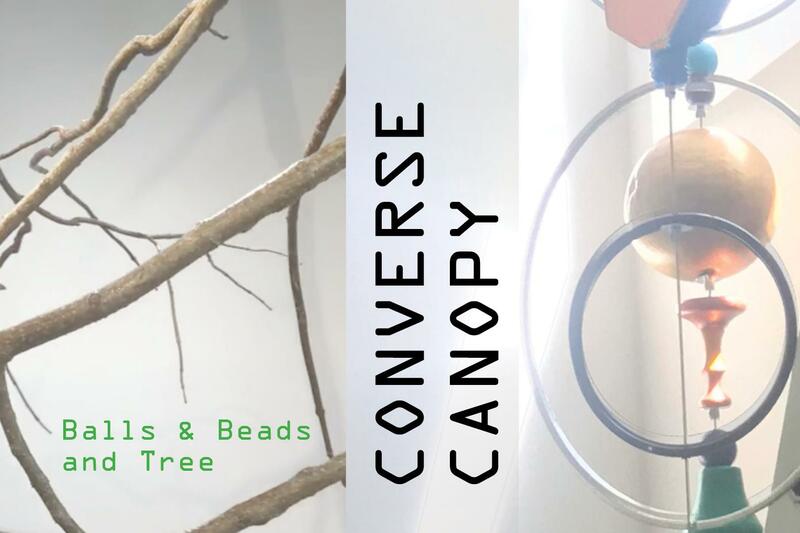 Join us as Rachel Goodwin winds down her public studio residency presenting her new work Converse Canopy. Artist's talk will begin at 6:20pm and will be followed by music in the gallery. Influenced by her childhood growing up in New Orleans, Goodwin's project is a series of beaded sculptures calling to mind the old trees of New Orleans that hold Mardi Gras beads in their branches all year long. Utilizing the full space of the PPG, Goodwin is expanding the forest of many strands, testing its limits and ability to articulate they myth of Mardi Gras. Rachel Goodwin works with paint, wood and found materials building paintings, collages, and constructions. Her pieces create odd, disruptive, intense arrangements, where form and color accumulate, stack and interact. Inspired by how we consume our world and dispose of it, her work resuscitates and transforms the old, broken, tortured objects we live with every day. Goodwin is originally from New Orleans. She attended Syracuse University where she earned a BFA in painting in 1994. She went on to study painting at the San Francisco Art Institute (SFAI) where she earned an MFA in 1999. She now lives in Durham, North Carolina. Goodwin has exhibited in San Francisco, Oakland, as well as various places throughout North Carolina. Her work is also part of the permanent collection of the Di Rosa Art Preserve in Napa Valley, California.